The peaks of the Newberry Mountains aren't towering by any means. 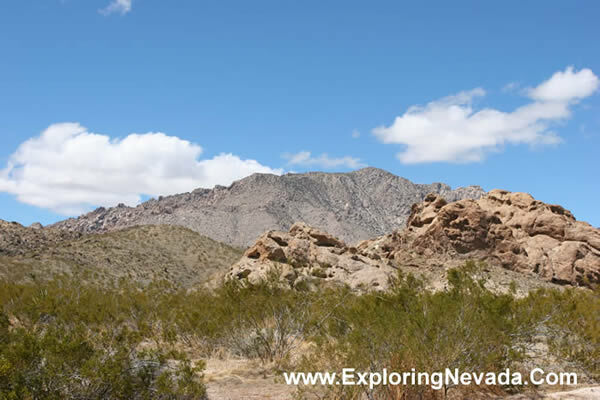 However, the vertical rise from the Colorado River is significant (over 5000 feet), as Laughlin sits down at just a few hundred feet above sea level. There are scattered forests in the Newberry Mountains, but you can't see them in this photo.